The Tight Space RCA Solution! Quite often there is limited space behind AV devices. Whether this be inside an cabinet or perhaps the result of routing cables a certain direction. 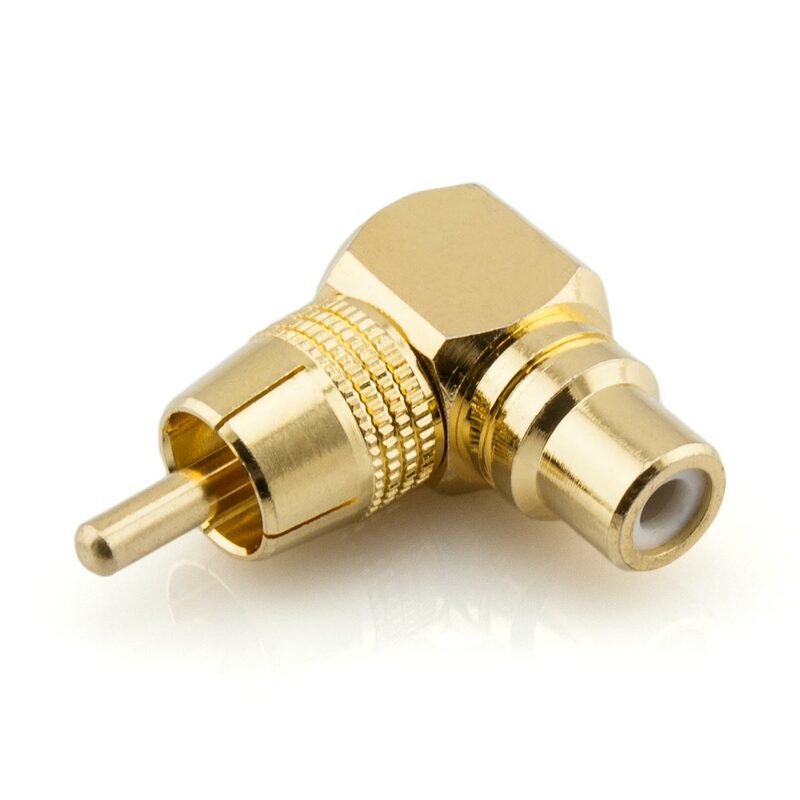 This high quality adapter provides a quick and easy method to convert a straight RCA socket to a right angle female socket. As RCA is a circular connector, this provides the ability to direct the right angle adapter in any direction required. Up, down, left, right or anything in between. 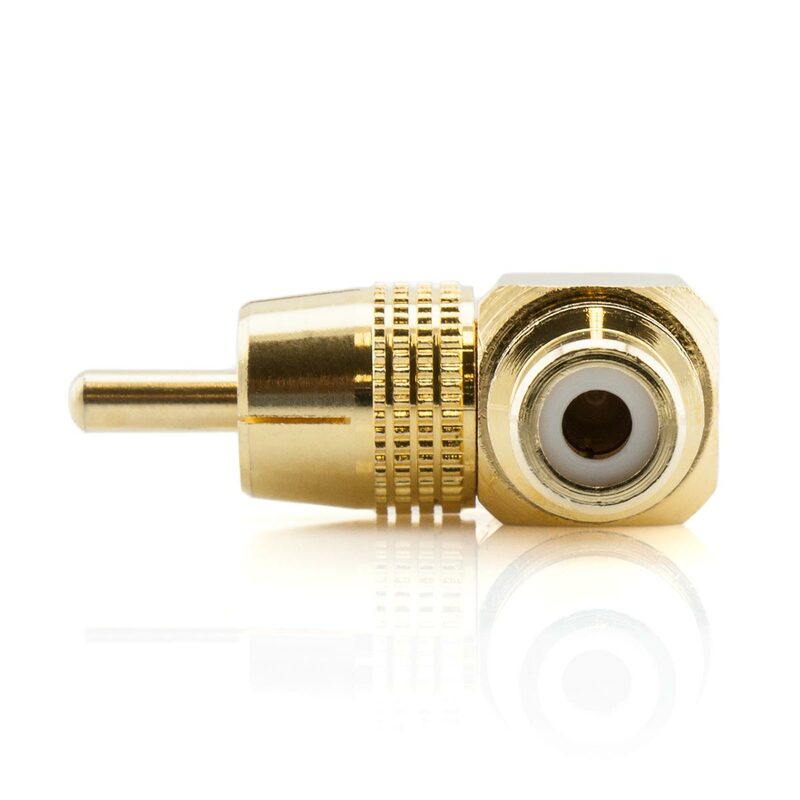 This adapter is finished in superb 24k gold plating. 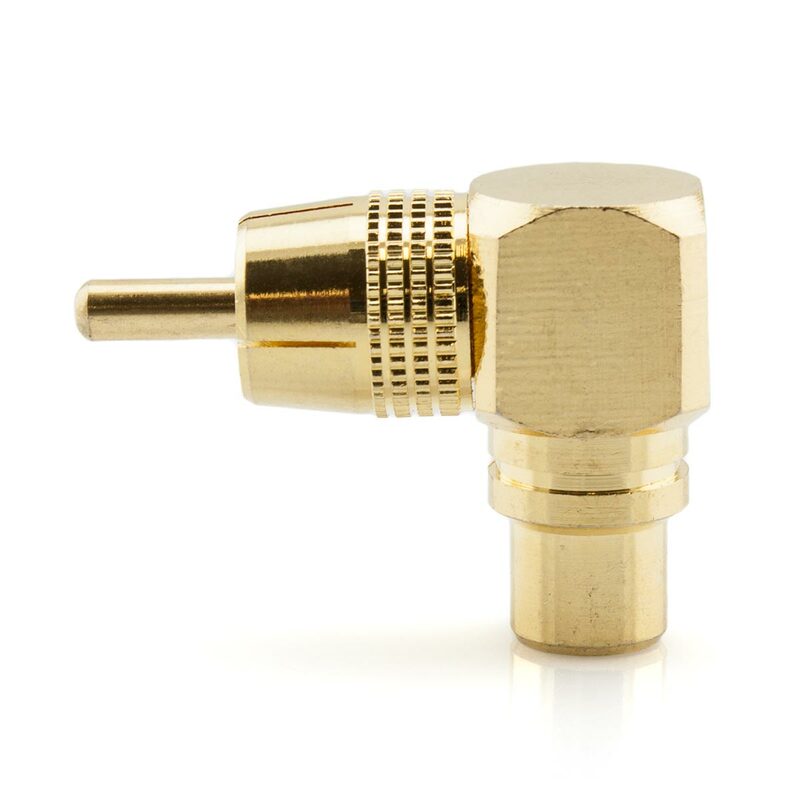 This will ensure reliable high quality audio performance and durability. 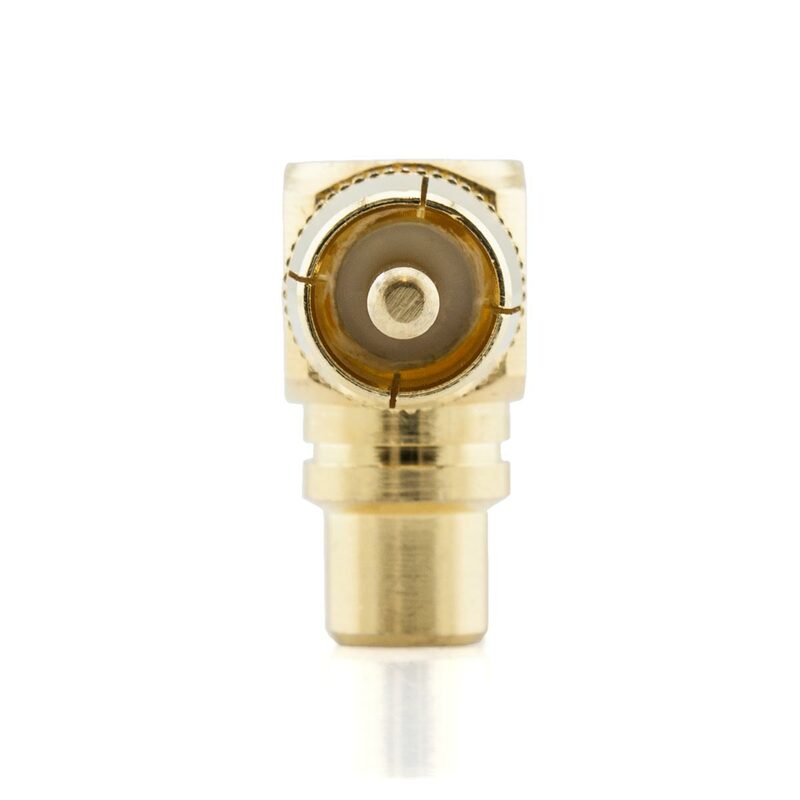 The spring loaded outer connector will provide a perfectly snug fit to ensure optimum contact is achieved.